Wash sabudana 2 to 3 times and then soak in ¾ cup water for 3 to 4 hours. 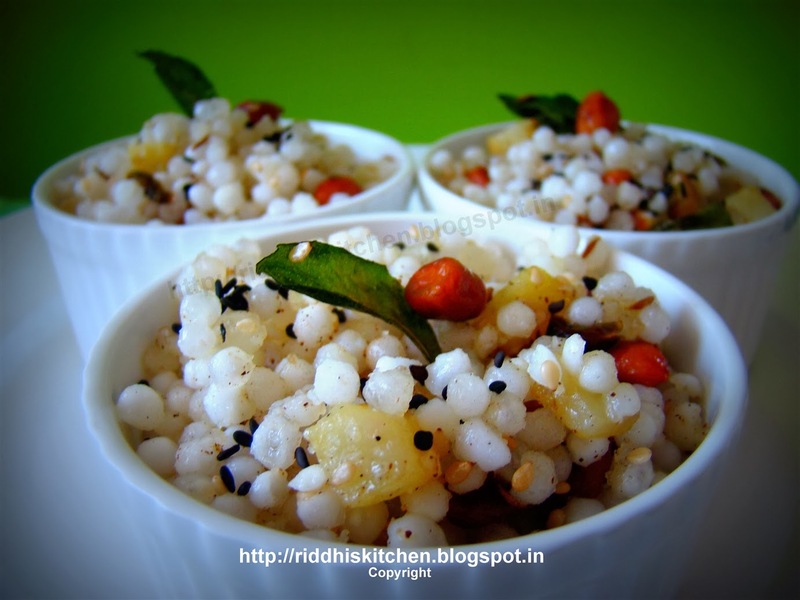 Sabudana grains should be separate and moist. Heat oil in kadai, add cumin seeds, curry leaves, green chilly and mix well. Add potatoes, white sesame seeds and cook till done or soft. Add roasted peanuts, sabudana, salt, pepper powder, sugar and mix well. Cook for 3 to 4 minutes. Add lemon juice, mix well. Garnish with black sesame seeds.